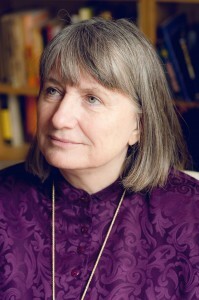 Mother Clare Watts was the founder and director of order that became the Order the Mystical Christ and the Sophia Wisdom Centers. The Order of the Mystical Christ are mystical Christian schools and communities dedicated to consciousness, spiritual growth and empowerment. Much like the spiritual communities that mystics such as St. Francis of Assisi and Paramahansa Yogananda created, the Order of the Mystical Christ are shining, warm places for people searching for inner truth, meaning and direct relationship with God. Each of the Centers across the country teach, share, and cultivate spirituality through sacraments, meditation, seminars, classes and practical instruction in order to bring people into real, deep experiences of God. As a spiritual school, the classes offered help people understand themselves better and improve the emotional, spiritual, mental and physical aspects of their lives.